Happy 2013 folks! Here’s to a wonderful and cover-filled new year! We’ll be back on Thursday with new shows. Yes, it’ll be a Cover Story, and it’s looking like it’ll be New Order. Geoff Overmyer at the South Pole – in his Coverville Citizen T-Shirt! Double creds for opening his jacket at the South Pole to show it off, that’s a real fan! Not the South Pole, Antarctica. 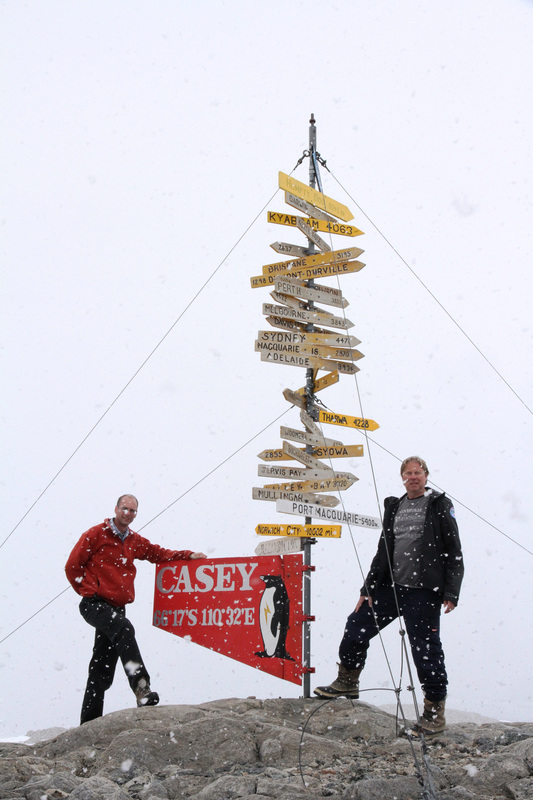 The South Pole is about 1643 miles further south from Casey Station. They’re actually about the furthest from the south pole any part of Antarctica gets.